Rewarding Times have teamed up with Druid's Glen Hotel & Golf Resort to offer you a €165 1 night stay. Overnight accommodation in a deluxe guestroom with full Irish breakfast the following morning, a bottle of prosecco in room on arrival and a late check out of 1pm. 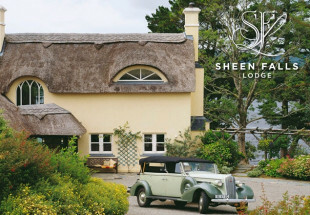 You will also receive €15 dining credit per person towards a three-course meal in Hugo’s 2 AA Rosette Restaurant, €15 spa credit per person towards treatments of 50 minutes or more and €15 golf credit per person towards a round of golf on Druids Heath course and complimentary access to the Health Club. At the 5 star Druids Glen Hotel & Golf Resort, nature and luxury meet to create a memorable escape. Nestled in 400 acres of countryside between the Wicklow Mountains and the Irish Sea, yet only thirty minutes from Dublin, Druids Glen provides a sanctuary from the hustle and bustle of everyday life. 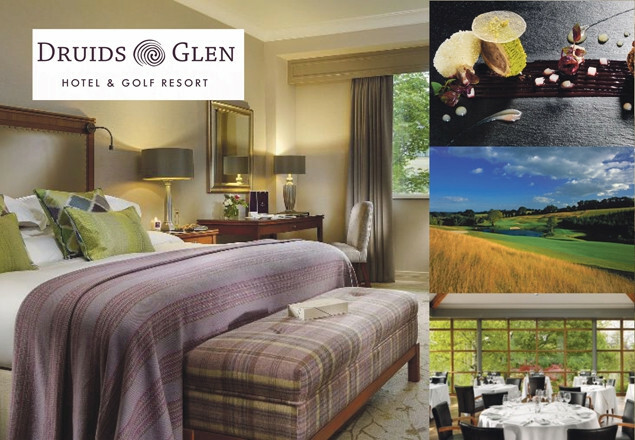 Druids Glen Hotel & Golf Resort features 145 spacious guestrooms and suites, dining options to include Hugo’s Restaurant, the Garden Rooms and Bar, Sycamore Lounge along with a Spa, Health Club and two championship golf courses, Druids Glen and Druids Heath. Experience our authentic Irish hospitality and allow us to take care of you while you soak up our wonderful surroundings, settle into our pace of life and enjoy the warm, attentive service from our expert team. Druids Glen Hotel & Golf Resort offers 145 spacious guestrooms and suites, all of which have been recently refurbished. Comfort and understated luxury prevails with individually controlled air-conditioning, flat screen TVs, complimentary mineral water, Wifi, fluffy robes and slippers, tea and coffee facilities and luxurious toiletries. Hugo's Restaurant offers guests a wonderful dining experience and has been awarded with 2 AA Rosettes for Culinary Excellence. Our team of chefs bring a creative flair to our food offering and their dishes offer a delightful variety of flavour and textures using the freshest of seasonal ingredients. The chic interior design of Hugo’s coupled with the bright and airy atmosphere and gorgeous woodland views makes for a lovely dining experience. The Garden Rooms and Bar is located in the heart of the hotel, with stunning views overlooking the famous 13th hole on Druids Glen golf course. The newly refurbished and extended Garden Rooms and Bar offers a warm, welcoming respite from the outside world. Enjoy the ambience with friends over a cup of coffee or a light lunch from the delicious bar menu. Step into the small yet perfectly formed boutique Spa at Druids Glen Hotel & Golf Resort in Wicklow and you will be entering an effortless cocoon of calm delivered by our specialised team of therapists. Indulge your senses with the aromas of fragrant essential oils and a full range of treatments in a softly lit haven. Once your treatment ends unwind further in the relaxation room. Take a trip to the health club and enjoy an invigorating dip in our 18 metre swimming pool, followed by time in our jacuzzi, sauna, plunge pool and steam room. There are few places in the world that encapsulate the true spirit of the game of golf like Druids Heath, the mountains, sea and rolling Irish countryside provide stunning vistas throughout your round. The sea breeze calls for shot-making skills and imagination from the golfer. Voucher valid from the 2nd September 2018 until the 20th December 2018. 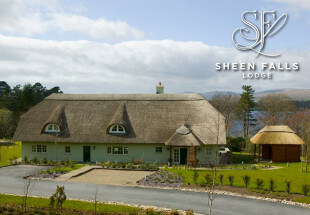 To check availability please contact the reservations office in Druids Glen on 01-2870877. 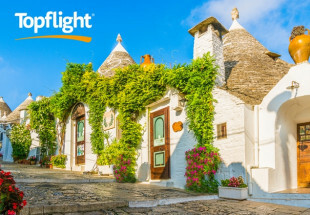 2 children under 12 stay free of charge on a bed and breakfast basis in a family room, room type must be requested at booking stage and is subject to availability. €15 per person dining credit valid towards a three-course meal in Hugo’s 2 AA Rosette Restaurant, not valid on the Table d’hote menu. €15 per person spa credit valid on treatments of 50 mins or more, limited availability on Sundays, not valid on day spa packages or monthly special offers. Late check out until 1pm, subject to availability at check in.